Sign up for our email list today and stay up-to-date on events and specials. 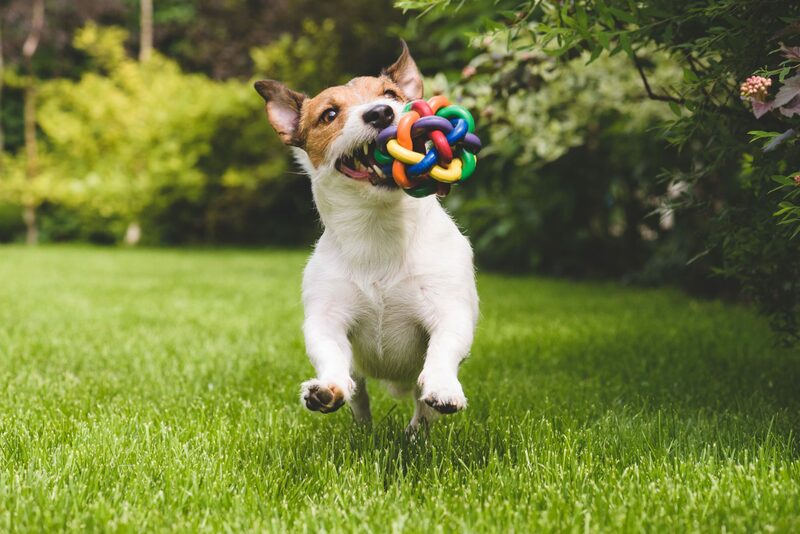 Bring in your pup for daycare, we will play fetch one on one, throwing the ball and playing chase for 15 minutes for an additional $10 with your dog, in our new annex building. Available at our downtown location only. Daycare isn’t for every dog. Natalie will come and walk your dog for 20 minutes, she will also send pictures and a text. Please give a 24 hour notice. 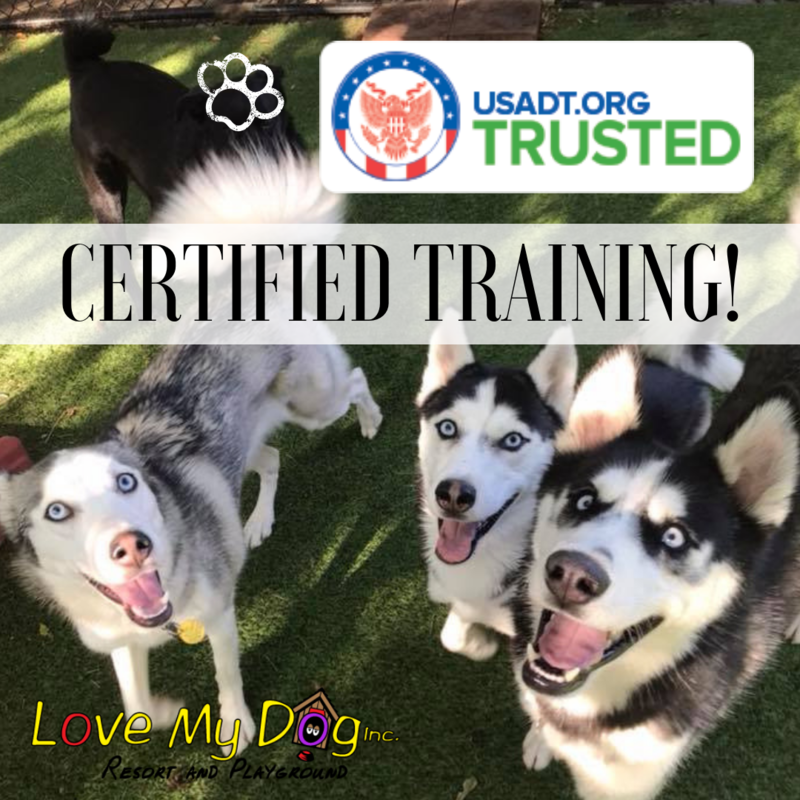 Our Training is Certified by the USADT! View more about our training programs! Love My Dog Resort founded the Diamond Dog Club August 1st 2015 to assist shelters in finding homes for dogs over 7 years of age. Dogs that are so deserving, but are often overlooked. A senior dog just means years of experience at friendship. Diamonds are forever. Since its creation, we have saved over 200 dogs! I recently took my 6 year old shepherd for a refresher course of training with Brie. If you get the chance sign up with her for dog training. She is knowledgeable, flexible and definitely loves my dog. I understand she will be offering some more advanced training for dogs soon.I can hardly wait to get my dog signed up for more classes. I love keeping my dog active. I took a tour of this facility yesterday and it is absolutely beautiful. I would recommend it for anyone to take their furry little friends. The owner Natalie is also absolutely wonderful and so is her staff. We just recently stayed with you guys... just wanted to say thank you again for taking care of our ‘fur babies’. The hard work and care you guys put forth (which is apparent!) really means a lot. I wish Arthur and Penny could tell us about their adventures with you - who they made friends with, did they enjoy the water park? Who snuggled with them at night?!... If you have any photos that didn’t make it on line, we’d love to see them. Thank you again! I just wanted to compliment the whole team at LMDNP for how they work with my dog Riley. Riley is a rescue and was a cruelty case adopted from the Capital Area Humane Society in Columbus, Ohio and has had issues with socialization and trust of strangers. 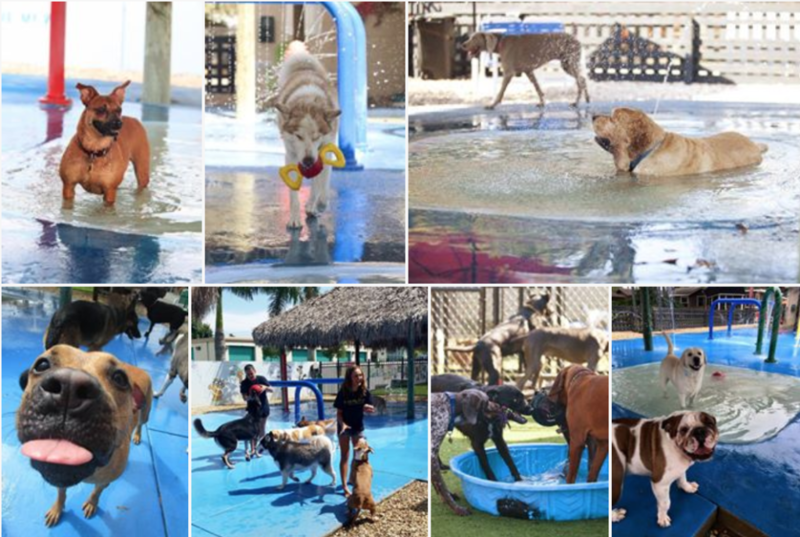 However, when I bring him to LMD, he immediately takes to the staff and management, enjoys baths, play time, the water park and hanging out with other dogs. 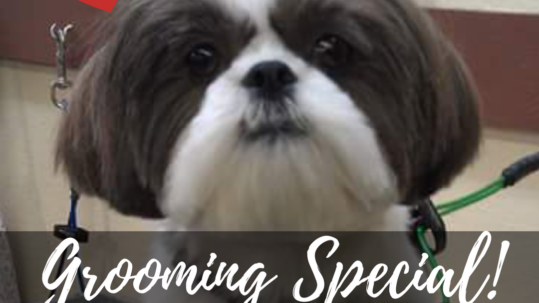 He gets a lot of great socialization that he does not normally have available to him at home, and always comes back a better, happier dog. It is great to get the positive feedback on him, and that other people get to see the happy, loving dog that Riley is with us. Riley is family to me, and Boarding him at LMD is one of the best investments that I can make; it is much more than boarding to me. Thank you LMDNP! We have 4 dogs. 3 are between the ages of 9 - 13. The 4th is a very energetic husky mix puppy. 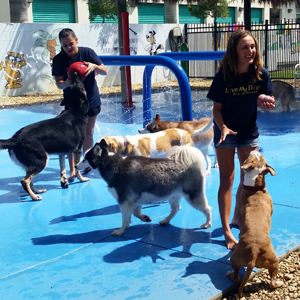 The old dogs needed a break, so we researched and visited several doggie daycares. We were impressed with the large number of play areas, guaranteeing Ripley would be in a group of pups similar in size and energy. Ripley absolutely adores daycare. No worries about separation anxiety as see doesn't even bother to say goodbye when I drop her off. And I appreciate a tired puppy when I pick her up at the end of the day. I have been taking my dog to Love my dog for the past three years for day care and boarding. My dog loves it and so do I. Her tail is wagging like crazy when we pull up because she is so happy. Recently I enrolled her in a training class with Bri and I can't say enough about how great Bri is as a trainer. She really knows how to connect with the dogs and their owners. My dog is on her way to being a well behaved furry friend. The staff is amazing. We have a very energetic dog. But the staff always makes sure they find him at least one friend to play with. Some days it's takes them a few times to make it happen. But they always do. 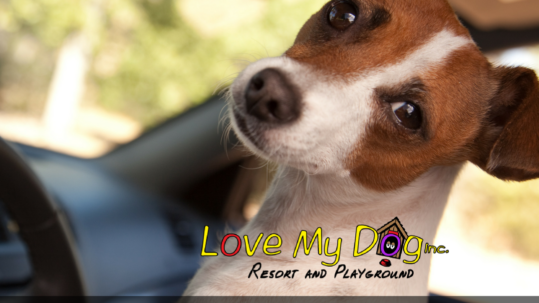 Truly amazing place to bring your dog either for day camp or stay overnight. I TRULY RECOMMEND BRI THE DOG TRAINER. SHE WORKED 2 TIMES WITH MY DOG. AND IT'S LIKE I HAVE A DIFFERENT DOG !! Heads up to one Great place. Franklin our Boston Terrier loves it!! The staff is very friendly and treat him as if he was part of their family. He always comes home happy with his puppy energy worn down. I would recommend this facility to anyone! My babies Delphi and Layla stayed here for 4 nights with doggie day care to occupy their daytime. They were exhausted by the end of the night. I could see them on the suite webcam and they were sleeping after enjoying their action packed day. I even saw staff give them a treat and give them extra attention via the webcam. I will recommend this downtown location to everyone! Thank you for making 4 days away from my babies enjoyable ones with no worries. I am eternally grateful for the help and compassion that Natalie of Love My Dog provided for me. Due to unforeseen circumstances I had to rehome my dog. Help was limited and I didn't want to just drop him off at a shelter. He deserved better! Thank you to Natalie and her wonderful business she was able to help me. Way above and beyond! Thanks to her he now has a new amazing wonderful home. It is obvious that Love My Dog really does love Dogs and is in this business for more than money. THANK YOU NATALIE!! You and Love My Dog were truly a Godsend! We bring our pup Bolt here. He LOVES it and the facility and staff are amazing. You can tell the staff and the owner really have a love and passion for dogs. At Love My Dog they really DO love your dog! My German Shepherd, Max is a regular at the other location but we checked this one out on Saturday because he was going stir crazy with all of the rain. This new location has the same wonderful customer service and provides a fun and loving atmosphere for Max to play. I love that the workers all take the time to get to know each and every dog. 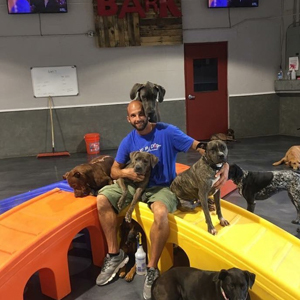 I have tried other dog daycare's around the area but I would never trust Max anywhere but with the staff at Love my dog! My dog Mya loves this place. She has been coming here for two years for daycare and boarding. 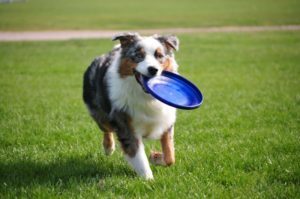 They are excellent about grouping dogs by play style and personality. 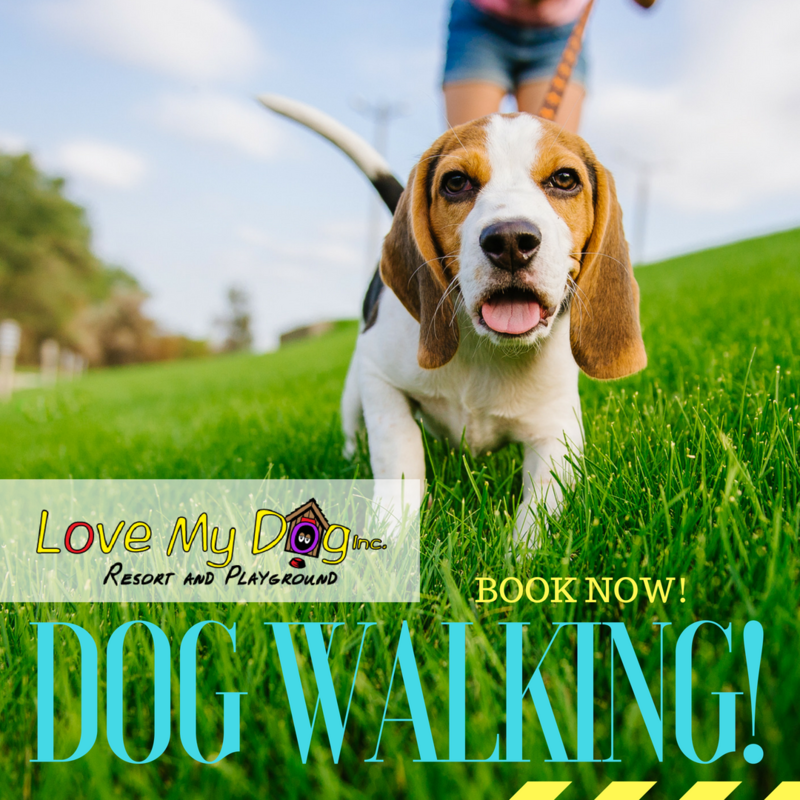 I recently used the trainer Bri, she is very personable, easy to get in contact with and my dog is now a totally different dog when I walk her. I would highly recommend her and Love My Dog. Contact us today to book a day of daycare, waterpark, boarding or more! You best friend deserves the best.